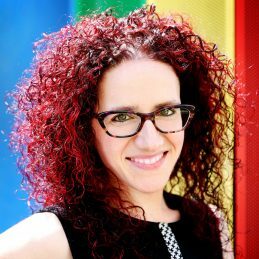 Jordana Borensztajn is a social media strategist, speaker, presentation skills coach, humourist and author. Jordana’s experience includes being a News Corp Australia journalist, working as online music editor, content producer and social media manager at Nova Entertainment, writing a business-marketing book called Capture My Attention: How to Stand Out Online with Creative Content, performing two sold-out shows in the Melbourne International Comedy Festival, speaking at corporate conferences around the world, and running a school’s program that explores online safety for students. Jordana draws off her experience as a public speaker, humourist and journalist to help develop and enhance presentation and communication skills in others. Additionally, she combines her personal and professional social media and content marketing experiences, with her extensive industry knowledge, to help train, upskill and educate businesses of all sizes in the areas of social media marketing, content marketing and creativity. Powerful presentation skills are essential in business yet so many of us are afraid of public speaking. Whether you’re presenting to clients, speaking internally, selling a product or pitching an idea, communicating with clarity and confidence is crucial. In this high-energy and hands-on keynote presentation, corporate speaker, humourist and former journalist Jordana will uncover seven key action steps teaching participants how to positively influence their audience and deliver their message in an effective, memorable and high-impact way. You’ll learn how to control your nerves and transform fear into positive energy, techniques to bring out ‘the best you’ in front of an audience, and strategies to use your body language for maximum impact. You’ll also learn how to use storytelling to enhance your message and inspire your audience, strategies to create compelling visual aids, tips to boost the energy and excitement in the room, and methods to plan and prepare for success. To get an idea of what you get if you book Jordana for this incredibly powerful addition to your skill set please click here. In today’s noisy digital world, we’ve all become content creators. And brands and businesses and fighting for attention. So, how can you rise above the noise to create compelling content that will capture your audience’s imagination? Storytelling is one of the most powerful tools brands and businesses can use to capture the attention, and connect with, their target audience online. But what does storytelling look like on social media? For the first time in history, four generations are working together under one corporate roof. What if businesses can learn to harness the power of the next generation and use it to their advantage? Traditional ‘sales speak’ falls on deaf ears in social media discussions, so what’s the best way to connect with consumers, boost engagement and ultimately build brand trust, loyalty and community? If your organisation is struggling with the fast-moving world we live in, or needs an insight into how to manage your next generation of leaders, she has the messages needed to kick start your company’s next phase of growth. To see Jordana inspiring her audiences with her unique insight into the new world we live in, click to take you through to her show reel, or contact ISG 1300 283 848 as soon as possible to book this amazing, inspiring woman. ‘Jordana is a very funny lady, had the audience laughing and achieved everything we expected plus more. I would highly recommend her for Jordana’s passion, attention to detail and most of all her great sense of humour.